If you're looking for a stylish, rustic, roomy, and unique barn, a Dutch Barn Shed may be the perfect solution. Not only can you use a Dutch Barn Shed for a variety of purposes, but these sheds are also well-built and customizable with an assortment of options. Why Purchase a Dutch Barn Shed? 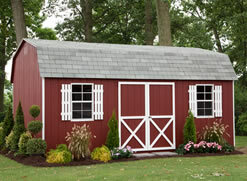 Dutch Barn Sheds feature a broad gabled roof with multiple windows and center doors. These versatile sheds can be placed on your property to fill various roles. You can turn a Dutch Barn into the ultimate storage shed to hold your tools, garden and farm equipment, pool accessories, children's toys, or anything else that you may need extra storage space for on your property. Some people have also used their Dutch Barn Sheds as hobby rooms, writing sanctuaries, and children's playhouses. The interior space in these sheds is greater than some other designs due to the amount of overhead area available. Not only will you have loft space but there is also ample wall space to hang tools and other smaller items. Dutch Barn Sheds can also be used as a garage for lawn equipment, snow moving equipment, recreational vehicles, and even passenger vehicles provided you have a large enough model. Each Dutch Barn Shed from Amish by Design is constructed by the Amish with only high-quality materials and craftsmanship. Amish roots date back more than five centuries to the Anabaptist movement in Switzerland. They are regarded as some of the oldest traditional craftsmen in the United States who take pride in their knowledge of wood and construction. Whether you want a traditional red barn look or a shed that compliments that color and style of your home, the choice is yours. You not only have options in the size and layout of your Dutch Barn Shed, but also in many other areas that will allow you to customize your shed. You will have the opportunity to meet with a manager at Amish by Design to completely customize your Dutch Barn Shed options. Some of the items that you can choose include colors, siding, windows, shutters, doors, vents, lighting, ramps, and other trim pieces. Once you've chosen the right Dutch Barn Shed for your needs, Amish by Design will fully construct the shed in-house. 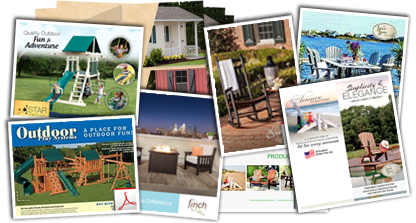 They have locations in Stafford / Fredericksburg, VA, King George, VA, and Hannover, VA, and also offer free local delivery and set up on your property.